This great resource just came out this month (September 2013). The journal entitled “English Language Learners: Shifting to an Asset-Based Paradigm / Estudiantes del Idioma Inglés: Valorizando los Aportes Que Brindan” focuses on seeing the education of English language learners not as a problem, but an opportunity for innovation and valuing of biculturalism and bilingualism. Rather than view educating English language learners as a problem, the innovative practitioners, scholars, and policy analysts writing in this issue of VUE urge us to embrace and value ELLs as bicultural, bilingual leaders of the future. Engaged families and community members, along with culturally competent and data-savvy teachers and principals, are key goals in a district with a burgeoning English language learner population. EDWeek recently summarized the findings from a large research study out of the University of North Carolina Chapel Hill that looked at the impact of dual language programs in early childhood. Once again the study found that dual language education and learning supports language development (in the child’s first and second language- i.e. English) and cognitive development in young children. In fact, the findings emphasize the potential impact of dual language education at this early schooling age as critical for better educational outcomes in bilinguals. The briefs are also available in Spanish and can be easily disseminated! Yesterday September 22, 2012 the Huffington Post reported on the following gains of a dual language school in California. The article entitled Education Nation: Finding Classroom Success In Bilingual Mix Of Spanish, English can be found by clicking here. 2. 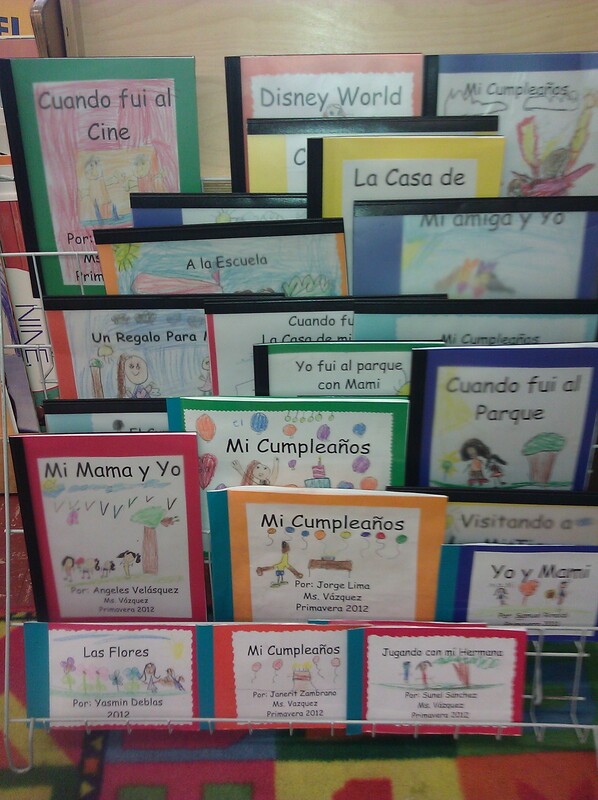 Hispanic children/students are successful learners like ALL other students including than Anglo students! 5. Investing in our students pay off despite legislation that outlaws the use of bilingual programs! Don't we all want this for our children? Thank you Education Nation for highlighting this very successful school. Joseph J Hurley K-8 school. Great find in Pinterest– I love the one where all Latinos want everyone to learn English– really!